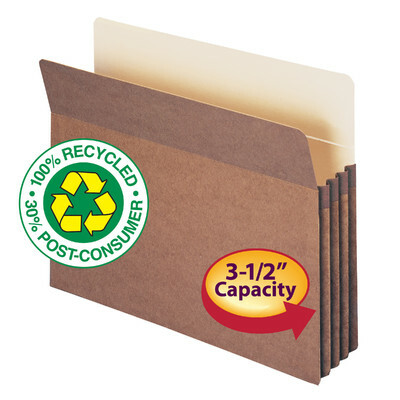 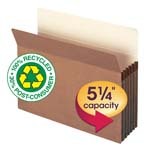 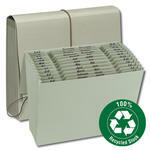 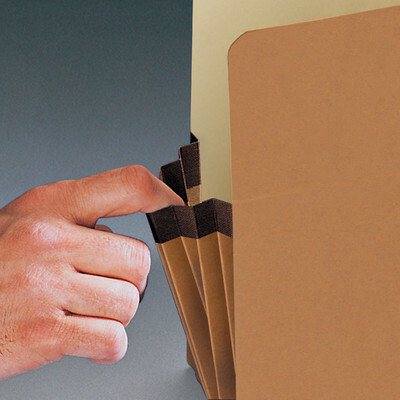 Made of 100% recycled material, these file pockets are ideal for the eco-friendly office. 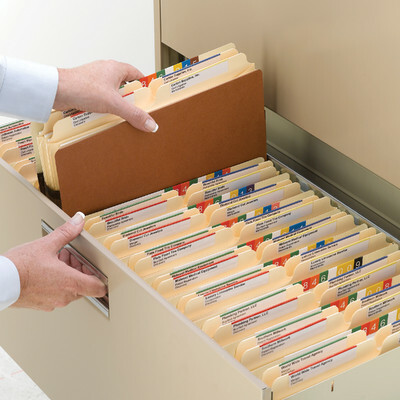 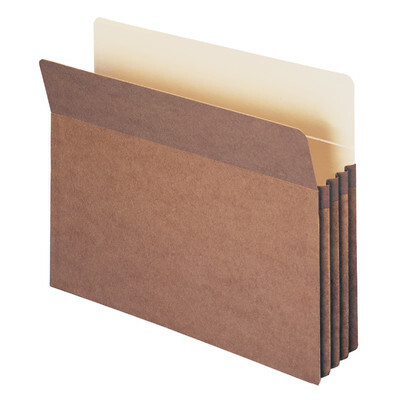 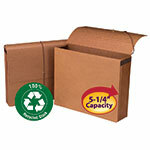 Manage bulky records with sturdy file pockets in sizes that expand up to 5-1/4". 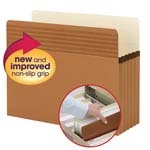 Our tear resistant rollover reinforced sides make them virtually tear proof.